01 Rub your pork loin with rapeseed oil and coat with a generous amount of salt and pepper. 02 Slice the peppers in half, removing the pith and seeds, then roughly chop. Season the peppers with the paprika, salt, pepper and oil. 03 Prepare the potatoes by cutting them in half. 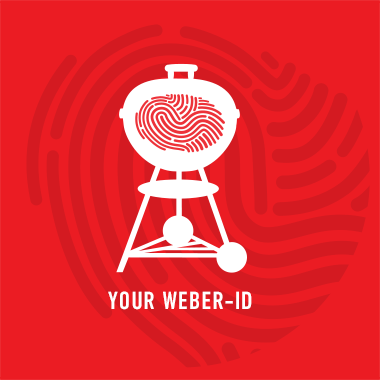 Season with salt, pepper and oil then add to the Weber Style Vegetable Basket. 01 Set up the Smokey Mountain Cooker. To achieve a sustained long and even cooking temperature, use the minion method. This involves adding a small quantity of lit briquettes to the centre of a ring of unlit briquettes. You will need to adjust the quantity of fuel according to the size of your smoker. You should be looking to achieve a temperature of 120°C – 130°C. 02 Add the pork to the Smokey Mountain Cooker. Ensure all the air vents are fully open at this stage. It’s important to check your smoker is situated in a well sheltered position for even results. 03 Add a good handful of the Cherry Wood chunks and leave to smoke undisturbed for 1 hour. 04 After this time, remove the pork joint and wrap tightly in tin foil. Then place the meat back in the smoker and cook for a further 1 hour and 30 minutes. 05 Remove the pork loin when it has reached a core temperature of 70°C. It’s very important to let the meat rest for a minimum of 10 minutes before carving. 06 Roast the potatoes indirect for around 45 minutes until golden and crispy. 07 Stir-fry the peppers with the oil, paprika and seasoning for around 10 minutes until they have become soft. Serve with the smoked pork loin and roast potatoes.